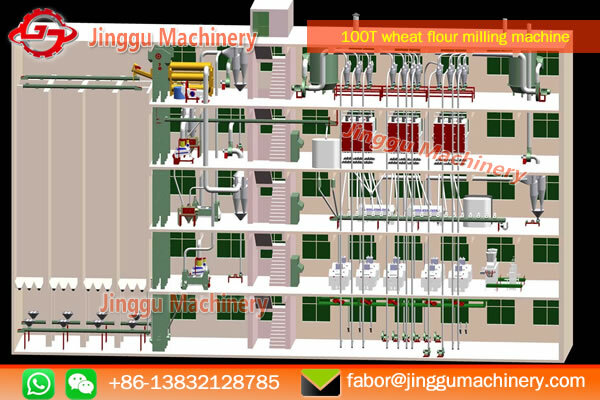 100T floor structure wheat flour milling machine with price | wheat flour processing production line. 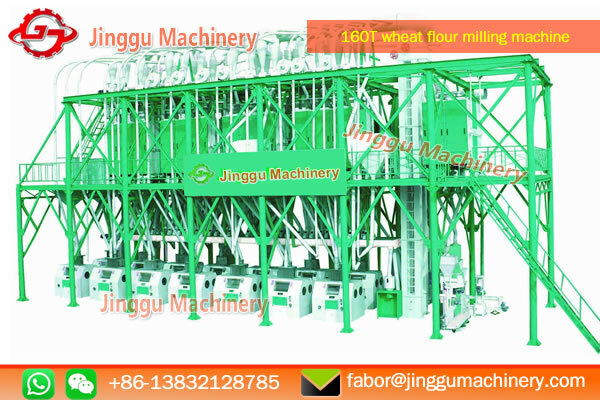 The workshop of 100T wheat flour milling machine is ferroconcrete or steel platforms for 4 floors. 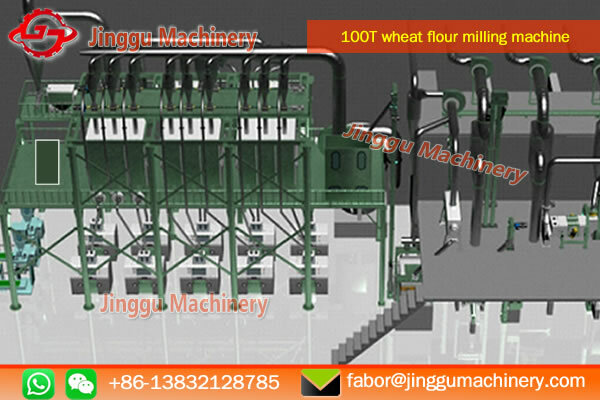 We can design the dimension of workshop as customer’s requirement. 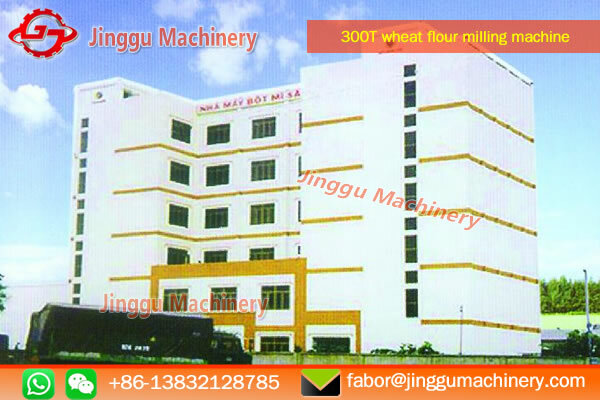 The workshop is ferroconcrete or steel platforms for 4 floors. 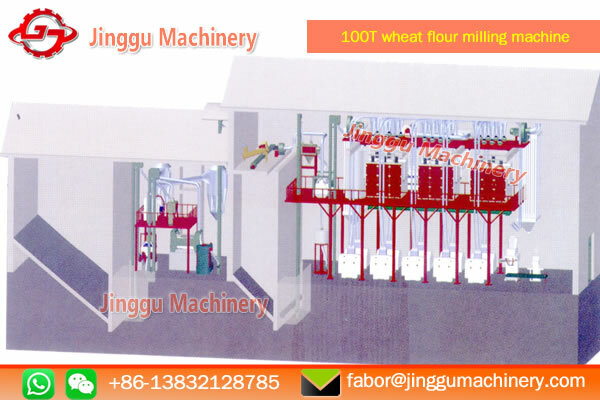 The total length of workshop is 37.5m, 10 m width and 12m high. 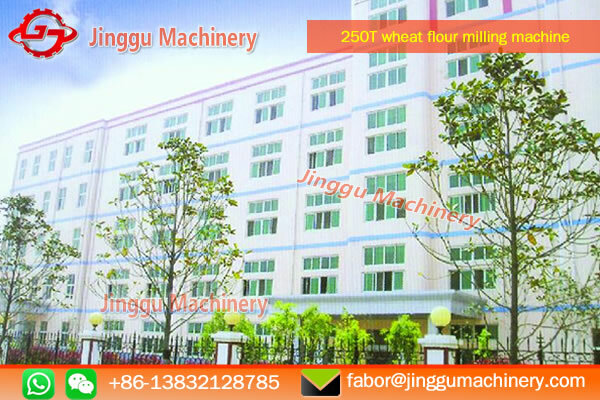 The total acreage is 375 square meters. There are 3-6 raw wheat tanks and 4-6 moisture wheat tanks. A high level water tank is on the top of workshop, and there is a control water tank on the top of workshop. These provide water for producing and fire protection.